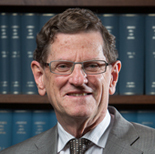 Robert Shenton French was appointed Chief Justice of the High Court of Australia on 1 September 2008 and retired from that office on 29 January 2017. He is a graduate of the University of Western Australia in science and law. He was appointed a Judge of the Federal Court of Australia in November 1986, an office he held until his appointment as Chief Justice on 1 September 2008. From 1994 to 1998 he was the President of the National Native Title Tribunal. Following his retirement as Chief Justice, Mr. French was appointed as a Non-Permanent Justice of the Hong Kong Court of Final Appeal in May 2017 and in January 2018 as an International Judge of the Singapore International Commercial Court. He is an Adjunct Professor at the Law School at the University of Western Australia, a Distinguished Honorary Professor at the Australian National University and an Adjunct Professor at Monash University Law School. He was elected as Chancellor of the University of Western Australia in December 2017. 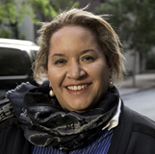 Professor Megan Davis is Pro Vice Chancellor Indigenous and Professor of Law, UNSW. Prof Davis is an expert member of the United Nations Human Rights Council's Expert Mechanism on the Rights of Indigenous Peoples. Prof Davis is a constitutional lawyer who was a member of the Referendum Council and the Expert Panel on the Recognition of Aboriginal and Torres Strait Islander Peoples in the Constitution. Megan is a Fellow of the Australian Academy of Law and the Australian Academy of Social Sciences and a Commissioner on the Australian Rugby League Commission. Megan supports the North Queensland Cowboys and the QLD Maroons. Professor Irene Watson belongs to the Tanganekald, Meintangk- Bunganditj First Nations Peoples and their territories include the Coorong and the south-east of South Australia. 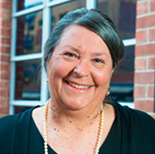 Professor Watson has published extensively in law and Indigenous knowledges and in 2015 she published Aboriginal People, Colonialism and International Law: Raw Law, (Routledge 2015) and more recently, Indigenous Peoples as Subjects in International Law, (Routledge 2018). Professor Watson is currently Research Professor of Law, PVC Aboriginal Leadership and Strategy at the University of South Australia, and David Unaipon Chair. Adjunct Professor Dennis Eggington is a Nyoongar man from the south-west region of Western Australia who has dedicated his life to working with and for his people, to advance the rights of Indigenous peoples in this country. With a Master of Human Rights Education, he is a committed advocate for social justice and has been the Chief Executive Officer of the Aboriginal Legal Service of Western Australia Limited (ALSWA) since 1996. 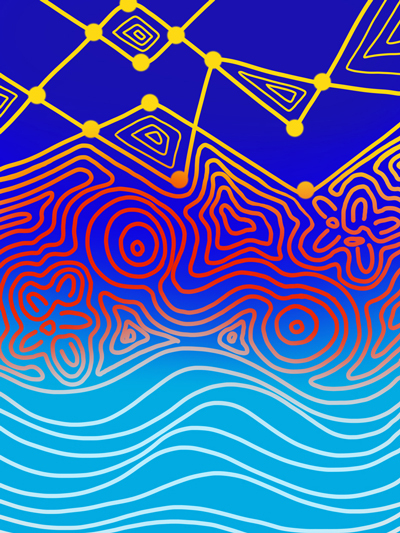 Established in 1973, this organisation is one of the largest community based and controlled legal organisations in Australia, providing services for Aboriginal and Torres Strait Islander peoples including legal advice, representation, legal education, research, advocacy, prisoner support, policy development and law reform. 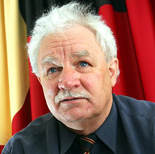 Having taught in WA, NSW and the Northern Territory Dennis has also held numerous Executive positions on community based and controlled organisations, lectured at WA’s Curtin University of Technology, and is credited with establishing the WA Aboriginal Media Association in the late 1980’s. 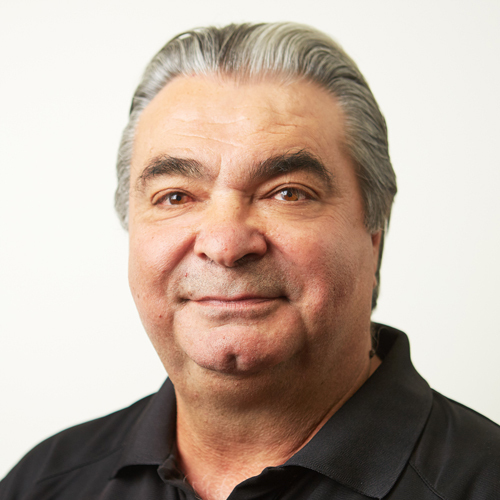 Dennis Eggington is a former National NAIDOC Person of the Year under whose leadership the Aboriginal Legal Service of WA was awarded a National Human Rights Award. Jeremiah studied a Bachelor of Law at the University of Western Australia; a Graduate Diploma of Legal Practice from the WA College of Law; and also, a Masters in Law from the University of Dundee (UK), being a Masters in Mineral Law and Policy for which he achieved a Distinction. He is currently a Director of his own Native Title Body Corporate ‘PBC’: Jidi Jidi Aboriginal Corporation. 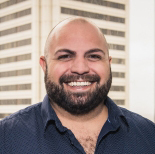 He has also previously served as Deputy Chair of PAKAM (Pilbara and Kimberley Aboriginal Media); President of WASAC (Western Australia Students Aboriginal Corporation); and President of the University of Dundee AIPN (Association of International Petroleum Negotiators) Student Club. Jeremiah is both a Yamatji man from the Nharnuwangga peoples of the Gascoyne-Murchison region near Meekatharra, and also a Noongar Man of the Riley family from Katanning. He has achieved academic success since a young age, being Indigenous Year 12 Student of the year in 1999, all the way through to achieving a Distinction in his Masters in Law; a Masters in Mineral Law and Policy in the UK. David Saylor is a UWA law graduate. David’s mother is part of the stolen generation and sent to Palm Island when she was 7 years old and his father is a Torres Strait Islander from Erub (Darnley Island). 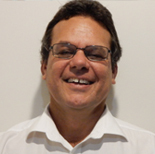 David has extensive experience in Indigenous legal matters having worked for the Aboriginal Legal Service Western Australia, North Australian Aboriginal Legal Service (currently NAAJA) in Darwin, the Kimberley Land Council, Queensland South Native Title Representative Body (Currently QSNTS), Torres Strait Regional Authority and the North Queensland Land Council. David was the instructing solicitor in the landmark Torres Strait Regional Seas Claim. Ashley Truscott is a Nyoongar-Yamatji-Yugunga-Nya man born in East Fremantle and has lived always in Perth. He graduated from the Law School of the University of Western Australia in 2011 with an LLB. He was admitted to Legal Practice in October 2015. 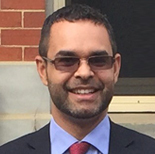 He has Commonwealth public service experience in Defence, Immigration, ASIC and most recently worked for the Aboriginal Legal Service WA Limited as a Civil lawyer and currently working as a Lawyer with the Yamatji Marlpa Aboriginal Corporation. He is a Master of Laws postgraduate student at UWA. Michael Mansell is an Aboriginal lawyer and activist who has dedicated his life to social, political and legal reform to improve the lives and social standing of Aborigines. He petitioned the Queen for land rights in 1976. He campaigned for museums in Tasmania to surrender the Aboriginal dead they held and in 1983 achieved success. He campaigned throughout Europe, the UK and the US in 1985 for repatriation of all Aboriginal human remains. He reached second year high school in 1966. He enrolled in law at the University of Tasmania in 1978. During this time, he played senior football with North Hobart in the TFL and led Tasmanian Aboriginal football squads at the national carnivals. He obtained a law degree and was admitted to the Supreme Court of Tasmania and the roll of the High Court as a legal practitioner in 1984. He ran a legal practice at Hobart from 1986 until 1996, working exclusively for Aboriginals. Mansell was named Tasmanian 'Aboriginal of the Year' in 1987. He was Legal Director of Tasmanian Aboriginal Centre until 2013. He worked closely with Geoffrey Robertson QC and Mark Stephens to retrieve human remains from the British Natural History Museum in obtaining a High Court Queen’s Bench Division interim injunction against NHM in 2007. When the Mabo decision was made, Mansell was chosen by the national gathering of Aboriginals at Eva Valley in the Northern Territory in 1993 to be part of a national delegation to negotiate the Native Title Act with Prime Minister Keating. He was instrumental in obtaining land rights in Tasmania from 1995 to 2003, recognition of cultural fishing and hunting rights in 1995, and compensation for the stolen generations in 2006. In 2016 he was a consultant to Aboriginal Affairs Victoria in developing a State treaty. He leaves it all behind to participate in his people’s annual mutton bird harvest in April each year. He is secretary of the Aboriginal Provisional Government and Chairman of Aboriginal Land Council of Tasmania. He wrote the book Treaty and Statehood: Aboriginal self-determination published by The Federation Press in December 2016. Helen Milroy is a descendant of the Palyku people of the Pilbara region of Western Australia but was born and educated in Perth. She studied Medicine at the University of Western Australia, worked as a General Practitioner and Consultant in Childhood Sexual Abuse at Princess Margaret Hospital for children for several years before completing specialist training in Child and Adolescent psychiatry. Helen has worked as a consultant psychiatrist in CAMHS since 1999. She was the Director of the Centre for Aboriginal Medical and Dental Health at the University of Western Australia from 2003-2012 and a Consultant Child and Adolescent Psychiatrist with the Specialist Aboriginal Mental Health Service, Department of Health, situated at Graylands Hospital, Perth from 2011-2012. From 2013-2017, Helen served as a Commissioner to the Royal Commission into Institutional Responses to Child Sexual Abuse. In 2017 she was also appointed as a Commissioner to the National Mental Health Commission. Helen is currently a Professor of child psychiatry at the University of Western Australia. Helen has been on many State, National and College policy committees, Reference; Advisory and writing groups. Recent appointments include the NHMRC Australian Human Ethics Committee; the NHMRC Aboriginal and Torres Strait Islander Health Advisory Committee; DoHA Health and Wellbeing Check for Three Year Olds Expert Group; NHMRC Indigenous Mental Health Advisory Group; and NHMRC ADHD Expert Working Group; Board of Closing the Gap Clearinghouse with the Department of Indigenous Affairs.She has been a Board member of Headspace - the National Youth Mental Health initiative; the Western Australian Indigenous Implementation Board; and was Past President of the Australian Indigenous Doctors Association (AIDA). Helen was conjoint award recipient of the World Council for Psychotherapy’s Sigmund Freud Award 2011 for contributions to the field of psychotherapy. She was also the 2011 Yachad Scholar. In 2018 at the recent 35th Annual Conference of the International Society for the Study of Trauma and Dissociation (ISSTD) in Chicago, the work of the Royal Commission into Institutional Responses to Child Sexual Abuse was honoured with an award to each of the Commissioners. 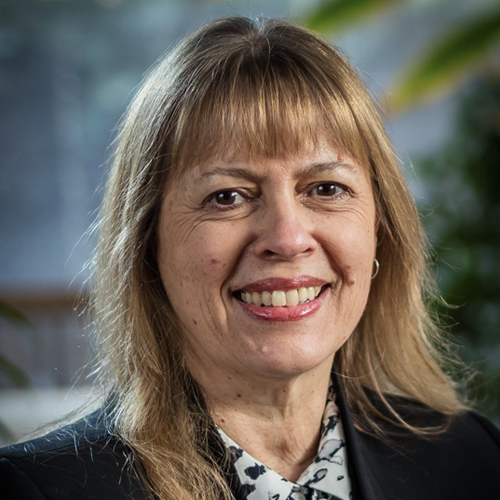 Helen’s work and research interests include holistic medicine, child mental health, recovery from trauma and grief, application of Indigenous knowledge, and developing effective models of care. She has a strong interest in the development and implementation of effective policy.